Great nightlife is one of Raleigh’s many renowned features, and The Haymaker contributes a unique experience not found anywhere else in the city. We worked with long-time client, Eschelon Experiences, to develop a website that communicated the whimsy and fun of The Haymaker’s truly one-of-a-kind vibe. Raleigh’s downtown bar scene has become increasingly saturated with stiff competition from new locales on a seemingly weekly basis. 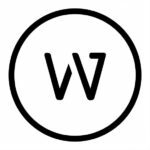 Walk West needed to create a digital destination for The Haymaker that captured the vibe of the venue’s 1920s style, blended with nineties hip-hop legends. How do you take two drastically different themes, and one very large moosehead, and combine them into one cohesive brand and website? First impressions are everything — from your drink menu to your creative brand. 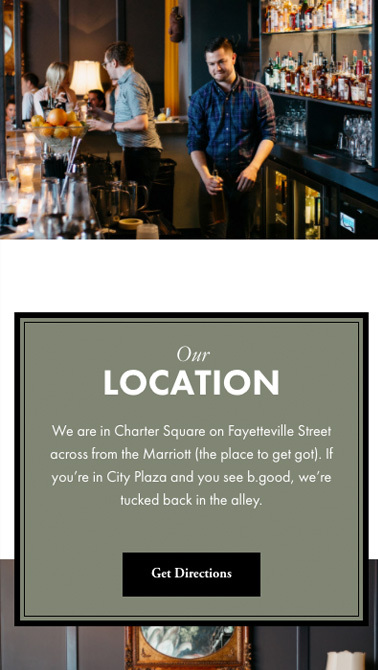 Walk West was able to disrupt the Capital City bar scene by creating a digital presence for the Haymaker that perfectly blends its unique personality and tone with stunning online assets. 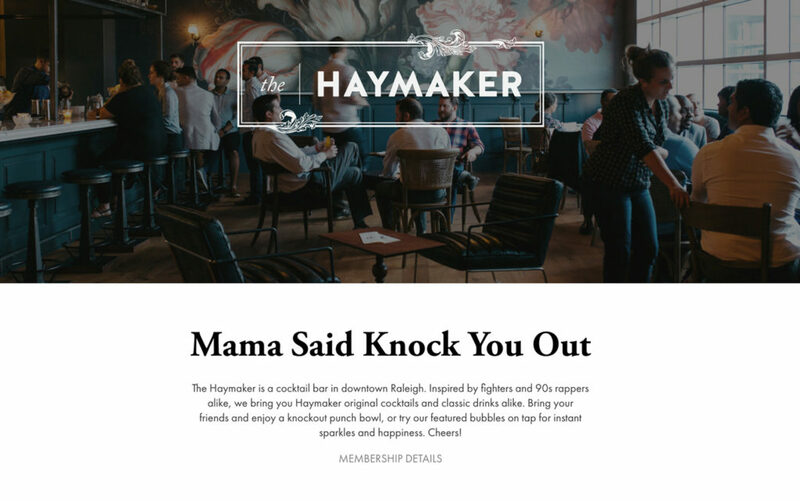 Using a diverse collection of fonts, colors, crisp imagery and distinct copy, we created an attention-grabbing site that could only be TheHaymakerRaleigh.com. It was critical that viewing the website on a desktop delivered the same experience as physically walking into the bar, an objective that was met with flying colors.